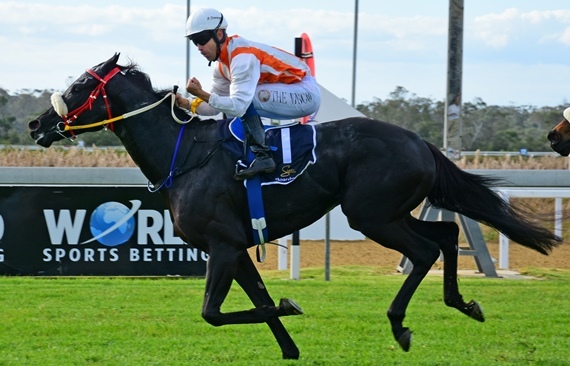 Prominent KZN farm, the Piemonte Stud, will be offering seven high class two-year-olds at Thursday and Friday’s National Two Year Old Sale. Pleasingly, the Piemonte Stud Grooms Program will also feature in this draft, with the grooms set to consign a striking son of G1 winner Byword in the form of Giacomo (Lot 298) at this year’s Two Year Old Sale. Giacomo, who is out of a winning daughter of champion sire Captain Al, is from the same family as recent graded winners Bull Valley and Star Express –as well as Horse Of The Year and high class sire, Model Man. Piemonte’s draft will include lots by popular young stallions Capetown Noir, Crusade, Jackson, Master Of My Fate and Wylie Hall –which makes this a draft a must-see for all serious buyers. Triple G1 winner Capetown Noir is the sire of Elma (Lot 368) a filly from the same family as champion Ice Cube –with the latter, like Capetown Noir, a son of Western Winter. Pietrina (Lot 131) is a daughter of Dynasty sired Derby winner Jackson, with this filly a daughter of Var’s stakes winner Wishful Eye, and Pietrina is a ½ sister to two good winners including recent scorer Aldo. Middle Park Stakes winner Crusade has been responsible for stakes winners in each of his first two crops and he is represented by a half-brother (Lot 160 to last season’s top class 2yo filly, and East Cape Fillies Nursery winner, Carlita, in the Piemonte draft. Royal Ascot hero Byword is represented here by Spin Master (Lot 263) –a colt out of a winning half-sister to G2 Ipi Tombe Challenge winner First Again and this colt is from the same family as Met hero Ding Dong. Other lots of note in the Piemonte draft include a Master Of My Fate colt (Lot 371) whose dam is a stakes placed own sister to short-lived G2 Premier Trophy winner Hundred Acre Wood, a Wylie Hall colt (Lot 189) from the same family as G1 winners Kiss Of Peace, Harry Hotspur and Rotterdam, and the Admire Main (Lot 331) full-sister to high class Eastern Cape galloper Kalamain –whose wins included the Guineas Plate.